My ears prick up when a product sings its own praises when it comes to blurring – as far as I am concerned, I could happily smear vaseline all over every lens because skin just looks so much nicer when it’s softly blurred and a little bit hazy. I don’t mind having pores – hello, I have them because I’m alive – but I know a lot of people worry about theirs. Having said that, I am after anything that promises to perfect my skin because I am always interested in pursuing a flawless complexion. Who isn’t? 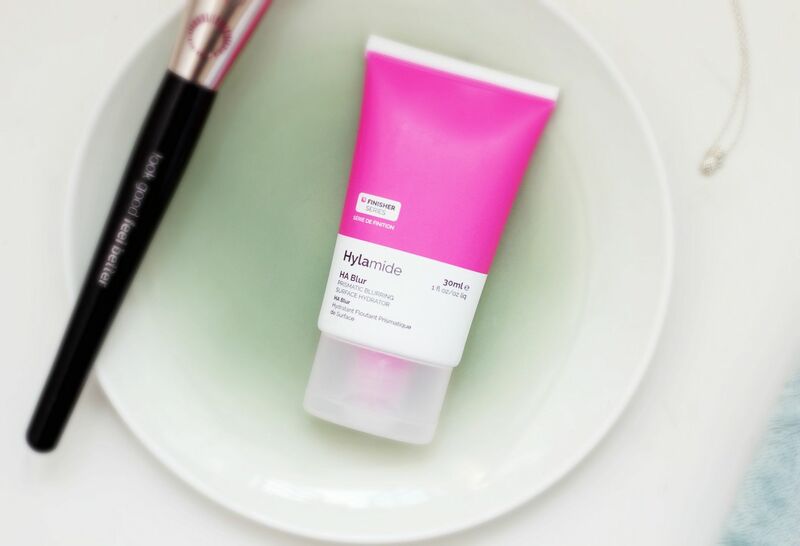 Deciem, and all their different brands offer lots of innovative skincare options – I love love love the Niod Photography fluid, so I had high hopes for this, the Hylamide HA Blur Hyaluronic-based Prismatic Blurring Surface finisher (phew!). This primer feels so silicone-heavy, but bizarrely doesn’t have any silicones. Magic, right? It has that instantly smoothing and blurring ability, but none of the pore-clogging gloopiness. It comes out as a thick white cream that instantly melts into the skin and gives a soft-finish look to the skin. It blurs the skin so much because it is made with hyaluronic acid powder that effectively bounces the light away so your skin looks all silky smooth. Hyaluronic acid hydrates a lot as well, so this is perfect for dehydrated skins where oiliness can be an issue. Is blurring something you’re interested in for your skin? If you liked this post, I would love it if you would follow and save it!